The height of your success is determined by the depth of your foundation..
To wrap up what has been a fantastic opportunity to explore ideas, to have heated and deep discussions and some real fun, I first have to thank Drew McManus (Adaptistration) for this platform. Inside the Arts is a place to read, discuss and share thoughts and ideas with the many brilliant people who write on the forum and who read the forum. It has inspired me and will continue to do so. With a blog we are all given the opportunity to actively participate. My circumstances have changed dramatically (in a very positive way) and I don’t feel as though I can give the time to regularly contribute. So with that I want pause with this my final post (for now) and go out with a few takes, an attempt to be substantive. So some short(ish)takes on, sustainability, politics, and lastly, with the question I started with: what is our job? A huge topic and the proverbial holy grail is something of a misnomer because 100% sustainability is akin to trying to be perfect. There will always be pitfalls and unforeseen circumstances sometimes beyond the control of the organization. Sustainability is not so much about what has been done to ensure the future as if it is a settled thing, but what is being done to actively nurture the organization right now, and how cognizant the leadership and stakeholders are of the changing demographics, tastes, and even geography. I hear the statement “we need to prove that we are sustainable before people will donate”, I am MD of the Lake Placid Sinofnietta and they have been around 98 years and we are still saying that! Apart from artistic excellence, a flexible, dynamic and fully formed long range plan with actionable steps and accountability is what is truly important to demonstrate the commitment to sustainability. It is the commitment that people what to see before making a decision on a substantial donation. 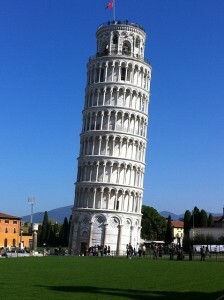 The example I like to use is the leaning tower of Pisa. It was completed over 600 years ago, its tilt was unintended, but the uniqueness of the building and its tilt was preserved which has proven to be a boon for tourism and architectural study. As recently as 2008 stabilization work has been done on its foundation so that people can continue to enjoy it, exactly the way it is. Foundation work is not visual for a building, or an organization, so it might not be the most satisfying thing to work on, but the awesome power of an iconic building, or powerful performances of Symphonic masterpieces can only be sustained according to the depth and breadth of that foundation. Without one, it all comes crumbling down. Cash reserves. The blow up of 2008 should be proof enough that in the good years reinvesting all surpluses and raising money only to put into the endowment puts an organization 100% at the mercy of the economic climate especially if the endowment draw is vital. My orchestra at the time had a cash reserve, it was earning a meager 2 or 3% which was a massive return compared to the 40% losses (or more) many endowments were hit with. It also meant bills and salaries could be paid, and we could still do concerts! Create a cash reserve. During a downturn people need music more than ever! Make endowments work to protect future programs. Too many endowments are simply a 4 – 5% draw to sustain operations, and often times reinvested if not needed. Some of the endowment needs to have that kind of flexibility but not all of it. I believe that if someone in their lifetime is continually supporting a program, whether it be a chamber series, an outreach program etc.. Try to get that person or group of people to endow it so that those series (or variations on them which can be built into the rules if circumstances change) will have protected funding in perpetuity that future boards and/or managers can’t redirect at a whim or at the first sign of trouble. This way it nurtures what is to come and protects the cornerstones of the artistic legacy. It compels future leadership to find ways to preserve programming. It protects the foundation. Finally on this topic; Sustainability should not be seen as an achievement but a continuous goal. It is something that has to be maintained and nurtured and just like a member of an orchestra has to have Musical Ability, the whole organization needs to have, Sustain Ability. Whether or not you are “feeling the Bern”, the majority of the country’s state houses and governorships (not to mention SCOTUS, Congress and the Senate) are Republican and very conservative. This is not something we can just ride out and to those who are thinking they will all come round to awarding substantial arts funding to the levels in Europe and Asia, you are deluding yourselves. We are talking Powerball odds here for that happening! We need to stop visiting state houses and representatives to plead for the arts the way we do now. Don’t get me wrong, we have great arguments and terrific data on the benefit of the arts for the overall health of a community and the economy, but they aren’t buying it, just like everything else they’re not buying that also make sense (common sense gun reforms, healthcare for all etc…). We have to go one step deeper than where we have been going and appeal not to their conservative politics or even their policies, but to their conservative principles, that is where true inroads can be made. We need to convince them that the arts can help create that leaner more self sufficient “power of the individual” and “smaller government” model that they crave, or say that they crave! Make the joy, fulfillment, preserving the arts arguments (good intentions) fade into the background (I know it hurts to do that), because they are by in large believing that those arguments mean bigger government (Kansas now has no arts council). Turn the argument to make supporting the arts and in particular arts education programs as being a way to shrink the government. 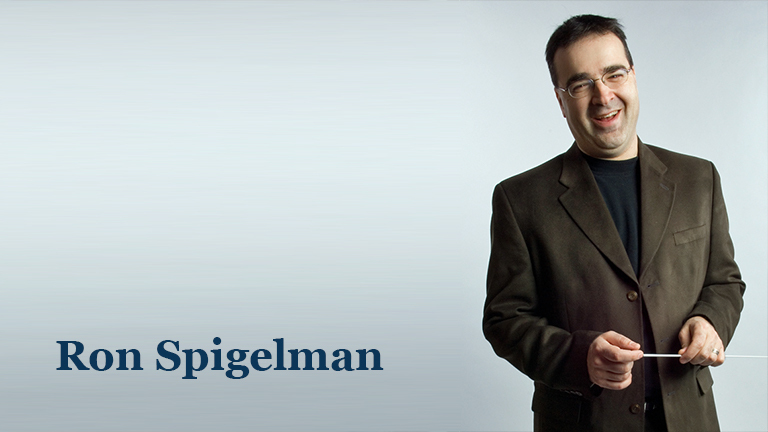 It’s about being pragmatic and playing to the crowd you have, not to the crowd you want! To close, I want to reiterate what I believe which is that we have to constantly remind ourselves that what we do as musicians, artists, poets, painters etc.. is not a job. Those talents are simply skills we posses which is only half the equation. When we go to school we don’t learn how to do a job, we mostly learn how to hone those skills. A fundamental flaw is that there is a belief that we are supposed to rescue music when in fact it was designed to rescue us, and to those we perform it to. We are conduits for that task, our skill is to perform, our job is to touch people’s lives, with great art. This is a principle I believe that applies to every skill. For instance; a body shop repair person’s skill is to fix the dent in your car after an accident, but their job and purpose is to help you to forget you had an accident. In school we are taught mostly how to do things, but not why we do them. My greatest hope is that it will change so that we truly have the purpose of what we do in mind at all times, so that we keep our eyes on the prize: equal parts making the world better, or even just making someone’s day better. This blog, has made me better. Thanks to all of you who have read it, shared it, and commented. Thanks to Bill also, it has been an honor to share this cyber stage with you. The post I truly had the most fun with was Stereoids which was when USA Track and Field banned marathon runners from listening to music while racing, meaning music became a banned substance because it gave runners an advantage!